These paper towel ghosts are made rigid by using Mod Podge painted paper towel sheets over a, Styrofoam ball and chenille stem, skeleton. Slightly watered down white glue can be used instead of the Mod Podge, but the ghost is a little more flexible when dry. These ghosts are super easy, and loads of fun, to make. 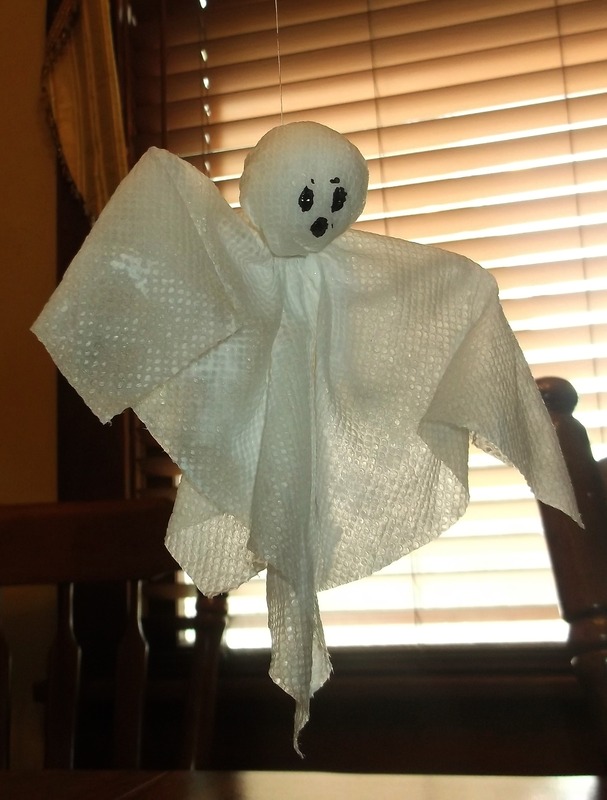 The pictured tutorial for making these Posable Paper Towel Ghosts can be found under the HubPages Gallery in the sidebar. Click on the image for a larger view. This entry was posted in Categories and tagged art for kids, classroom decor, crafts for kids, ghosts, Halloween, hanging ghost, paper towel ghost, posable ghost, stiff paper towel ghost. Bookmark the permalink.